Holly Dickey knew she wanted to be a mother at age 26, but she didn’t know it would be 20 years until her dream came true. She was an independent explorer who loves the outdoors, and knew in her 20s she wasn’t ready to be a mother. But as time passed, her desire to have a child grew. At age 40, she decided to become a single mother on her own. Working with fertility doctors, she underwent intrauterine insemination (IUI) to become pregnant. She was disappointed when the IUI didn’t work, but she wasn’t ready to give up. Over the next few years, she went through several starts and stops in her pursuit of motherhood. Sometimes it was necessary to take a break from treatment for emotional and financial reasons, and then she would try again. Other times, a relationship would show promise, and Holly would shift her focus. But after three years, none of her dating pursuits had proved to be the right fit, and five IUI’s hadn’t resulted in pregnancy. Then she met Mr. Right. They quickly fell in love and decided to build a family together. Holly pursued fertility treatment again, doing IVF using her eggs and her partner’s sperm. She experienced four pregnancies, three times by in vitro fertilization and once naturally, but all heartbreakingly ended in miscarriage. Making circumstances more difficult, she had received discouraging news from her health insurance company while she underwent IVF. They cut off assistance for her fertility treatment because, in their words, “aging is not an illness.” They would have to shoulder the cost on their own. Downtrodden but determined, Holly explored her options for having a baby. She knew that using donor egg was her best option for having a baby, but could not afford the treatment. That was when her physician, Dr. Brian Berger at Boston IVF, mentioned frozen donor egg as an option. He said that the cost would be half the price, and the treatment process would be faster and more efficient -- all without compromising her chances of having a baby. The only problem was that frozen donor eggs weren’t available at Boston IVF yet. 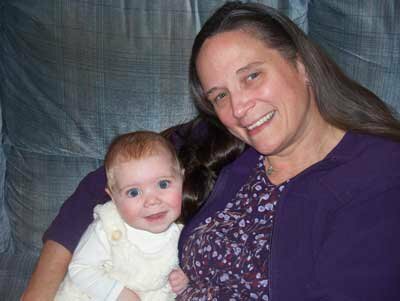 As soon as the Boston IVF and Donor Egg Bank USA partnership was finalized roughly a year later, Holly immediately selected a donor and moved forward with treatment. After combining frozen donor eggs with her partner’s sperm, Dr. Berger transferred two embryos into Holly’s uterus. Two weeks later, Holly was ecstatic to learn she was pregnant. After a challenging pregnancy, Holly gave birth to the baby of her dreams. Ashley, born in May of 2013, brings Holly joy each and every day. What does Holly love the most about being a mother? Ashley’s smile.